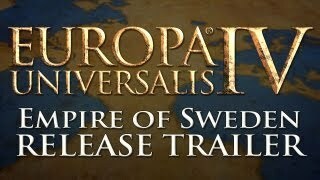 Paradox Development Studio is back with the fourth installment of the award-winning Europa Universalis series. The empire building game Europa Universalis IV gives you control of a nation to guide through the years in order to create a dominant global empire. Make your own decisions: Nation building is completely flexible and the possibilities are endless. Use your Monarch Power: Experience the new system of monarch power where your choices are influenced by the caliber of the man or woman you have at the top and will direct the ebb and flow of gameplay.